U.S. Supreme Court on Arizona's SB 1070: "Your papers, please, sort of." In an opinion [ARIZONA ET AL. v. UNITED STATES, No. 11-182. Argued April 25, 2012-Decided June 25, 2012] [pdf] released today the U.S. Supreme Court overturned three of the four challenged provisions in Arizona’s SB 1070 on the grounds that federal law preempted state law. …Sections 3, 5(C) and 6 of S. B. 1070 are preempted by federal law…. ….Section 3 intrudes on the field of alien registration, a field in which Congress has left no room for States to regulate…. ….Section 5(C)’s criminal penalty stands as an obstacle to the federal regulatory system…. ….The correct instruction to draw from the text, structure, and history of IRCA is that Congress decided it would be inappropriate to impose criminal penalties on unauthorized employees…. ….By authorizing state and local officers to make warrantless arrests of certain aliens suspected of being removable, §6 too creates an obstacle to federal law…. ….It was improper to enjoin §2(B) before the state courts had an opportunity to construe it and without some showing that §2(B)’s enforcement in fact conflicts with federal immigration law and its objectives…. ….It is not clear at this stage and on this record that §2(B), in practice, will require state officers to delay the release of detainees for no reason other than to verify their immigration status. This would raise constitutional concerns. And it would disrupt the federal framework to put state officers in the position of holding aliens in custody for possible unlawful presence without federal direction and supervision. But §2(B) could be read to avoid these concerns. If the law only requires state officers to conduct a status check during the course of an authorized, lawful detention or after a detainee has been released, the provision would likely survive preemption-at least absent some showing that it has other consequences that are adverse to federal law and its objectives. Without the benefit of a definitive interpretation from the state courts, it would be inappropriate to assume §2(B) will be construed in a way that conflicts with federal law…. ….This opinion does not foreclose other preemption and constitutional challenges to the law as interpreted and applied after it goes into effect…. The “your papers, please” part depends on how the State of Arizona implements it. then U. S. immigration officials have been directed to “defe[r] action” against such individual “for a period of two years, subject to renewal.” The husbanding of scarce enforcement resources can hardly be the justification for this, since the considerable administrative cost of conducting as many as 1.4 million background checks, and ruling on the biennial requests for dispensation that the nonenforcement program envisions, will necessarily be deducted from immigration enforcement. The President said at a news conference that the new program is “the right thing to do” in light of Congress’s failure to pass the Administration’s proposed revision of the Immigration Act. Perhaps it is, though Arizona may not think so. But to say, as the Court does, that Arizona contradicts federal law by enforcing applications of the Immigration Act that the President declines to enforce boggles the mind…. ….Thousands of Arizona’s estimated 400,000 illegal immigrants-including not just children but men and women under 30-are now assured immunity from enforcement, and will be able to compete openly with Arizona citizens for employment. Arizona has moved to protect its sovereignty-not in contradiction of federal law, but in complete compliance with it. The laws under challenge here do not extend or revise federal immigration restrictions, but merely enforce those restrictions more effectively. If securing its territory in this fashion is not within the power of Arizona, we should cease referring to it as a sovereign State. I dissent. That’s the whole point of the majority opinion. Arizona doesn’t get to decide. The President does, and Congress, when they get around to it. So much for being an apolitical originalist. 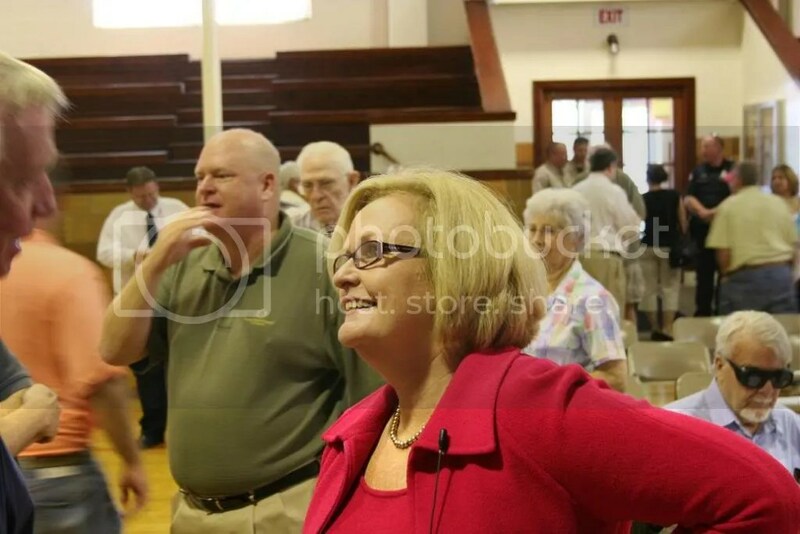 Senator Claire McCaskill (D) speaking with a constituent immediately after the town hall in Concordia, Missouri. After yesterday’s town hall in Concordia, Missouri Senator Claire McCaskill briefly took questions from media. 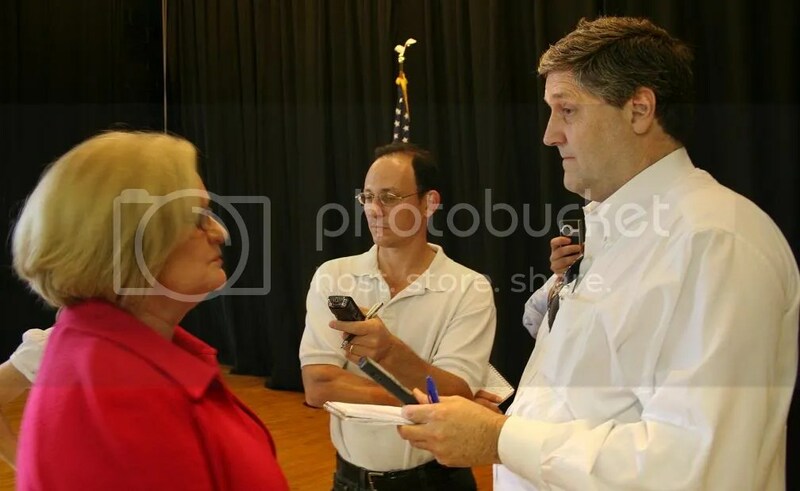 Senator Claire McCaskill (D) (left) with the “second questioner” (center) and “first questioner” (right) at the media availability immediately after the town hall in Concordia. Question: Drove down to say hi. Senator Claire McCaskill: Yes, look at you all the way down here. You must have something controversial [crosstalk] to ask me. Question: Nah, nah, nah, not at all, not at all, want to hear what people are saying. Senator Claire McCaskill (D): Yeah, good. Question: First, let me ask, did, how did you vote on Proposition [inaudible]. Senator McCaskill: Uh, I voted no. Question: And it was the right vote? …Question: You like the individual mandate? Senator McCaskill: Uh, I mean, the mandate obviously is the most unpopular part, but, um, when you ask people if they want to do away with preexisting conditions they say, well of course, that’s so unfair. Well, who’s gonna buy insurance before they’re sick. You can’t do away with preexisting conditions unless you set up an environment where everyone has insurance. The nice thing about this is it’s not gonna be government run, it’s not gonna be government policies. People are gonna be able to shop, make choices. And if they can’t afford it we’re gonna help ’em by making it more affordable with some help from the government. So I think it’s, is it a perfect solution? No. But it’s the best solution I think that anybody’s come up with to an untenable spiral of healthcare costs in this country. Question: …that people are really worried about. Question: Which is kind of the Democratic approach. Question: Their deal is build the wall. And the Arizona law. Question: Which you don’t support. Senator McCaskill: First of all, people aren’t coming across the border for vacation. They’re coming to try and feed their families. If they don’t think that they can get a job, this reminds me of when we were trying to deter crime. We had a hard time deterring meth cooks, but we could deter the businessmen that were selling the ingredients for meth. And that turned the tide. This is the same kind of thing. We can deter businessmen from hiring illegal immigrants if we come down like a load of bricks on ’em. Question: …these folks you’re not a supporter of the Arizona law. Senator McCaskill: Better. I said parts of it I support, parts of it I don’t support. Senator McCaskill: That’s why I’ve continued to vote for more border security. That’s part of it, but employer enforcement is also part of it. Once we get those two things better handled, uh, then we can maybe talk about something else. But I’m not interested in talking about anything else until we do a better job [crosstalk] on those two subjects. Senator McCaskill: …don’t know if it plays or not. It just is my opinion [crosstalk]. Question: Bigger than hea, no, but it, is immigration more important to people now than say health care, Claire? Is, or, or the deficit, uh, because it seems like it comes up. I went to a Moran [Kansas Republican U.S. Senate nominee] town hall, first five questions were on immigration. Question: Particularly if their skin color is different? Senator McCaskill: …doesn’t have to play by the rules? Senator McCaskill: I think it’s that simple. Question [second questioner]: Claire, getting back to Prop. C, you talked about the largely symbolic import, but. But what about the political ramifications, including the midterm elections as well as, perhaps, uh, your own reelection campaign in two years? have a more fifty-fifty split, we certainly usually have a more fifty-fifty split in general elections. Question [first questioner]: But, but you had Democrats voting for Prop. C [inaudible]. Senator McCaskill: Absolutely, absolutely. This is an, let me state unequivocally this is an unpopular piece of legislation. Um, but it’s really hard to fix a hard problem in this country, uh, and, and, and make it be really popular, because if it’s really popular it doesn’t generally fix anything. Senator McCaskill: We’ve been distributing ’em for a while. We think that may be the easiest way to begin to get people focused that, realize some of the things they’ve heard aren’t true. Questioner: Thank you, that’s all I need. Senator McCaskill: Hey Michael, how are you? Nice to see you. Question [first questioner]: ….instead of extending the Bush tax cuts for everyone we let them expire and then give everyone a credit to purchase it or has insurance because you want to incent them to do that. So the net effect is zero on the recipients, those who have insurance. The only people who are not incented are those who don’t have insurance, but they’re not penalized, they just don’t get a tax break. Question [first questioner]: And you could do the math really. 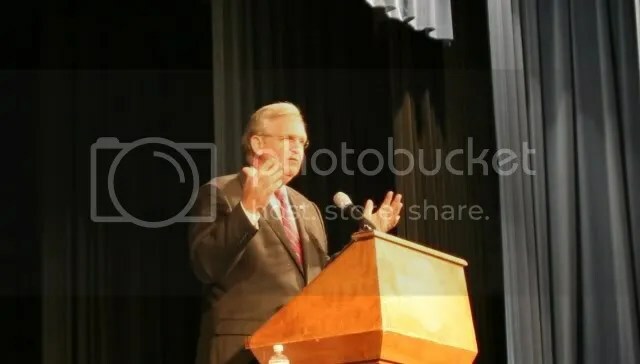 Senator McCaskill: …the vast majority of the people who don’t have insurance are not people who enjoyed any benefit under the Bush tax [crosstalk] cuts. Senator McCaskill: Well, you know, I’m gonna get you the numbers on it [crosstalk] because they ran ’em. Question [first questioner]: The math [crosstalk]. Senator McCaskill: They ran ’em [crosstalk]. Question [first questioner]: Well [crosstalk], but you. Senator McCaskill: And I want you to see the numbers. But, you need to run, clearly, you’re itchin’. Myth 1: The value of your health insurance will be added to your W-2 income and you’ll be taxed on it. Reality: Most people do not know how much their insurance costs since employers often pay a large share of the premium. The new law requires employers to report the value of insurance on employees’ W-2s, but it is solely informational and is on a separate line that is not included in the taxable income. Myth 2: When you sell your house you will be required to pay a 3.8% tax on the sales price. Reality: The new law includes a 3.8% tax on unearned income for individuals who make over $200,000 or couples who make over $250,000. Unearned income includes making a profit on the sale of a home, but a couple can exempt the first $500,000 in profit from such a sale. That means that a couple would have to make over $250,000 per year AND make a PROFIT of over $500,000 on their home to be taxed. The median home sales price in MO is $149,900. Myth 3: Congress is exempted from the healthcare law. Reality: Like everyone else, members of congress and their personal staffs are required to maintain minimal essential coverage. Congress and their staff are the only people required by law to buy their insurance on the exchanges. Myth 4: The exchanges are “Government-run” insurance. Reality: The exchanges are shopping sites comparable to Expedia™ where private insurance companies like BlueCross sell their insurance. None of the choices will be government-run and individuals are not required to buy their insurance there, but rather can get their insurance through their employer or private broker. The exchanges make sure that state-specific laws are met, and by setting minimum standards they ensure that consumers won’t end up being sold bogus insurance. Myth 5: Healthcare reform will cut benefits for military families. Myth 6: This law creates death panels that will order euthanasia for sick patients. Reality: There are no panels to determine end of life care. The decisions about patient care rest in the hands of the patient and their family as was always the case. This false claim was a scare tactic fabricated by opponents and cannot be found anywhere in this law. Myth 7: The healthcare reform law cuts Medicare benefits. Reality: No guaranteed Medicare benefits are cut by this law. An experiment started in 1997 created Medicare Advantage, a privatized form of Medicare, with the hope of saving money. It turns out that the federal government pays 14% more for this private form of Medicare than for government provided Medicare so this new law cuts these subsidies. Seniors will still be able to choose between getting their benefits from traditional Medicare or a Medicare Advantage plan, but the government will stop wasting billions of dollars by overpaying Medicare Advantage plans. Reality: Not only are government-sponsored benefits like Medicaid not extended to illegal aliens, but they are not even allowed to buy insurance even if they pay for it with their own money. Illegal immigrants cannot receive any benefits under the new law. Myth 9: There are accounting gimmicks used to give the appearance that the law is paid for. Reality: The Congressional Budget Office (CBO) is the official “scorekeeper” of Congress and they have determined that this bill is not only paid for, but reduces deficits over the next two decades by a trillion dollars. While CBO adjusted their estimates upward after the bill became law, even with that adjustment the bill is still paid for whether the bill is analyzed over 3, 5, 10 or 20 years, and reduces the long-term deficit. Benefits start immediately including $5 billion for high-risk pools, help for early retirees, and tax credits to small businesses that pay for health insurance. Myth 10: The government will decide what care you can receive and will ration your care. access to the best information in the world about healthcare options, but leaves those decisions between the doctor and patient. Transcripts of the audience question and answer portion of the town hall will follow in subsequent posts. While we’re waiting for Missouri primary results – this past week I was in Arizona on business and I was assaulted by their primary campaign (late August) signs on the corner of almost every major thoroughfare. Arizona republicans tend to have red, white and blue signs. The concept is so…original. There’s still a lot of good in Arizona. Like Raul Grijalva (D) and Gabrielle Giffords (D). And it’s a toss-up whether Missouri or Arizona has the most egregious eye roll inducing right wingnuts. If pressed I’d have to give a slight edge to Arizona. The Summer monsoon rains from Tucson’s northern foothills, looking west. My kind of Democratic Party politician. In the Santa Catalina Mountains in Coronado National Forest north of Tucson. Guaranteed to cause right wingnut heads to explode. President Obama spoke today on immigration reform. ….What he [Representative Mark Parkinson] wants to do, he wants to substitute that bill and create one that matches Arizona’s new law. Of course that law gives police the ability to ask for documentation if they suspect somebody is here illegally…. ….like I say, I think that, that Arizona took a political solution in which they tried to be the toughest in the world that I think crossed a line that’s not a line we should cross in America. I think basic civil rights, basic individual freedom is extremely important and, and, and just because it’s, it’s after one group today doesn’t mean that it’s, it’s not gonna be after another group tomorrow…. Director of Intergovernmental Affairs, Cecilia Muñoz takes your questions on comprehensive immigration reform. ….Jesse Lee: …The President touched on the fact that the law in Arizona has kind of brought this issue back to the fore recently. Uh, Jay’s first question, I think, was from Arizona. Uh, so just to take a couple on that….asks about the sentiment, uh, people who say, support the Arizona law because the feds can’t and won’t do their jobs. Another question we got earlier on Facebook, even before this started, was, um, the idea that, uh, they…had heard that, uh, basically all that law does is kind of repeat the federal laws on the book and folks then say we shouldn’t enforce it, so what’s wrong with that? So, maybe you can spell that out a little bit. Cecilia Muñoz, Director of Intergovernmental Affairs: Yeah, the Arizona law doesn’t just repeat federal law. What it does is it is empowers local officials to be, um, to, in the course of doing their duties if they suspect someone to be unlawfully present in the United States it requires them to, to ask those folks for their papers and then to take action. What we’ve heard from law enforcement officials, and there were a number of them in the audience today, uh, uh, with the President, is that they believe that that, uh, undermines their ability to effectively enforce the law in their communities. Uh, we’ve heard from police chiefs who say that every time, if you’re required to do that, and you do a, say a traffic stop, and you ask somebody [inaudible] for their immigration papers, I’m not sure if anybody around this table actually carries papers in their wallet that prove that they’re U.S. citizens. Um, and so processing somebody like that can take hours and those are hours that that police officer is not gonna spend going after a burglar or, or somebody worse than that. And so we have law enforcement officials across the country saying to us, don’t undermine our ability to establish our own priorities on where we ought to be using our enforcement resources. We want to go after the biggest dangers to the community. If you require us to spend all our time chasing down immigrants, we’re not gonna be able to do our jobs effectively or well. So in the end, having a policy in Arizona and another one in a town in Nebraska and another one in towns in other parts of the country isn’t going to solve our immigration problem. It’s gonna create these other kinds of problems, especially for law enforcement. And it takes Congress off the hook…. Yes, that would be a really good question to ask anyone spouting off in support of Arizona’s SB 1070: “Your papers, please.” If they were asked that question by local law enforcement do you think they’d be screaming about it as loudly as they did about health care reform? Just asking. 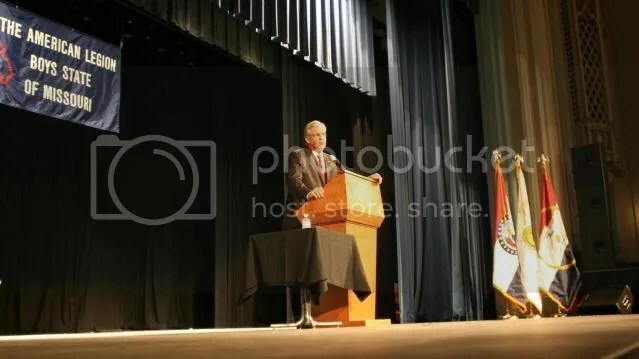 Missouri Governor Jay Nixon (D) speaking at Boys State on the campus of the University of Central Missouri in Warrensburg on Sunday evening. ….Question: …What’s your personal opinion re, regarding the immigration law recently signed by the Governor of the State of Arizona? [crosstalk] Thank you very much. Governor Jay Nixon (D): Um, Governor Brewer signed two laws. Um, the first one that she signed, uh, I, I have serious problems with. 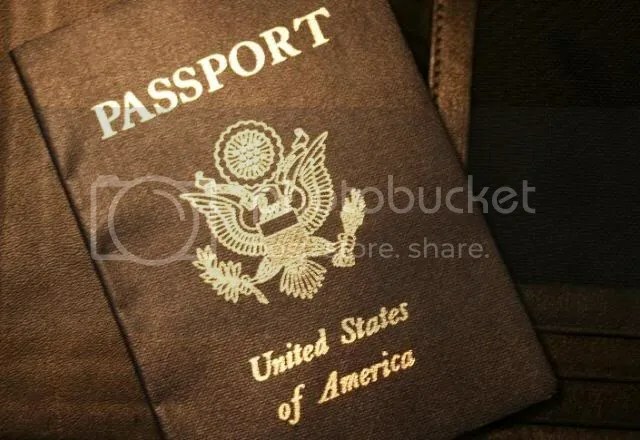 I mean, which, if you’re gonna require people in the United States of America to, to, show their identification papers just because they’re walkin’ around, I mean, in order for them to have the right to walk through, a city square or walk through a park. That you could be stopped and demanded to prove in that setting that, that, that you’re, you know, a citizen or you’re American or whatever. I, I think that is way over the top. I, I, man, oh man, I, I [applause], it, it . [inaudible] We need to think about people working together. We need to increase the number of people of all, we, we, I mean, the Statue of Liberty was given to us by France as a gift because we were the melting pot of the world. I mean, everyone of you, when you talk to your mom or your dad or your grandma or your grandpa, they’ll talk about how they were German or how about they were English or how they were Swiss or Norwegian or whatever. And, and in one or two generations everybody wants to ignore all that, and act like we’re just these, these Americans things. We have great roots all around the world and the future of the economic engine of the world is not gonna be sitting here in, in Henry County in the middle of Missouri bunkered down. We’ve gotta, we gotta join this new world. So, the first piece, um, that, of that law I, I obviously somewhat mildly disagree with. [laughter] Um, [inaudible] they cleaned it up a little bit. I do believe that, that for national security purposes, uh, we need to have secure borders, uh, we need to make sure that we know who’s crossing those borders, and we’re certainly entitled if somebody comes into our country at in particular time, or if someone is here illegally, to, to deal with those issues and, and to, to send those folks back to their country of origin. Um, you know, so , like I say, I think that, that Arizona took a political solution in which they tried to be the toughest in the world that I think crossed a line that’s not a line we should cross in America. I think basic civil rights, basic individual freedom is extremely important and, and, and just because it’s, it’s after one group today doesn’t mean that it’s, it’s not gonna be after another group tomorrow. I mean, the Constitution is a great document. Probably the best document ever written, but after it was in power, it was in for only a few short years, they figured out they forgot some stuff. So they came back and they did the Bill of Rights and I would just recommend to y’all, you know, politicians run around, hold up the Constitution all the time. Don’t forget to hold up those first, those first ten Bill of Rights, too. The freedom of press, freedom of religion, you know, freedom to counsel, you know freedom to, you know, the freedom to bear arms, I mean, you know, you don’t, you know. [cheers, applause] I think in that first piece Arizona crossed the line…. We’ll write more on Governor Nixon’s opening remarks and other portions of the question and answer session in a subsequent post. It’s the rate of population increase, silly. Think about those trends on a regional and national level. Racial profiling as a means of securing our borders and preventing terrorism has become one of the most controversial topics of the day. We have a better solution: surveillance cameras at hot dog stands and lunch counters can tell us who is putting ketchup on wieners and who is putting mayo on corned beef. These are the real threats to the American way of life. Find the condiment abusers amongst us and we will be safe. Effective law enforcement without controversy. Sometimes it’s just too easy to hit it out of the park.